Expanding Diagonal Patterns - Do they really exist? Can an Expanding Diagonal always be counted another way? In R.N.Elliott's original treatise of The Wave Principle (1938), he introduces us to diagonal patterns for the first time on page 21. Under the heading, "Triangles", Elliott describes the difference between horizontal triangles that represent "hesitation" within an ongoing, progressive trend and diagonal triangles that form the concluding 5th wave of a larger five wave sequence. [see fig. #1] In both instances, Elliott illustrates five smaller sub-sequences within each pattern. 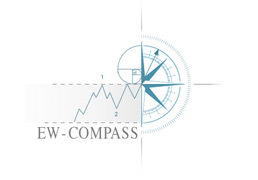 We are familiar with counter-trend/corrective triangle patterns subdividing into five swings, a-b-c-d-e as these are common events found in price activity. Interestingly, Elliott describes the four different types of counter-trend/corrective triangles, two of which are the contracting (symmetrical) and expanding (reverse-symmetrical) versions. Each is a mirror image of the other, or in other words, is an inversion of the other. We have recognised this phenomenon whilst building the Elliott Wave tutorial patterns for WaveSearch. Tip: - Print out or hand-draw a contracting-symmetrical triangle, include the narrowing boundary lines then simply turn the page over horizontally then hold up to the light and you will see the expanding-triangle! The diagonal-triangle in current day EW folklore is often referred to as a rare pattern, but this is not true to the keen observer, as they can be found repeatedly across many of the varying asset classes. Elliott drew an illustration of the diagonal-triangle [see fig. #2] in the 5th wave location as a contracting type pattern, where the price activity begins from the widest point and ends at the narrowest, almost to an apex. But he did not describe or illustrate its mirror image, or inverted counterpart that we refer to today as an expanding-diagonal, where the starting point is narrowest and the widest at the completion of the pattern. So why did Elliott make this omission when he clearly documented a similar mirror image/inversion for the horizontal triangle pattern? Perhaps it was simply that he had never observed one? Or as we imagine, he was still in the process of formulating all the nuances of his theory - we can only speculate on the true answer. Nevertheless, one other consideration that often comes to mind and that is access to data. Back in the 1930's - 40's, all data was complied by hand, most of it on a daily basis, building daily bar or closing line charts. How fast is the learning/observation curve under this restriction? We are now in the computer era with access to an almost unlimited data feed of every market imaginable, covering a far wider historical data base, and most importantly, data that builds into hourly and sub-hourly time-series. With this at our disposal, we can seek and find much easier, and the probability of finding something like an expanding-diagonal is exponentially increased - if it exists! Before continuing, I'd like to make a distinction between the terms Elliott used to describe the horizontal triangle and the diagonal triangle. In today's contemporary use, the term "triangle" is widely accepted to define a counter-trend pattern, and yet we still use the term "diagonal triangle" to define an impulse (5 wave trending) sequence. During the many years of teaching the Wave Principle, I have found students often confused by this because both are distinctly different types of pattern, yet both incorporate the term "triangle". To make it easier, I have dropped the association "triangle" when referring to the diagonal so that a diagonal is either a generic leading-contracting/expanding diagonal or an ending-contracting/expanding diagonal, leaving out the term triangle altogether. In Frost & Prechter's original book published in 1978 entitled "Elliott Wave Principle", there is no mention of the "expanding" diagonal, although it must be said that this book was by and large, a more ordered re-print of R.N.Elliott's The Wave Principle with the main focus of reproducing the original work. 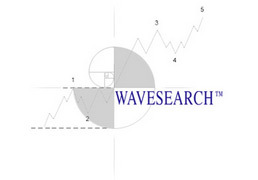 The later re-printed and expanded edition of 1990 did include a chart illustrating a "real-life" example of the Dow Jones unfolding into an ending-expanding diagonal in the 5th wave position of a larger five wave impulse pattern [see fig. #3], although no explanation of its introduction was attempted. But more importantly, it was recognised and documented as a pattern existing within the doctrines of the Wave Principle. The 20th anniversary edition of the same title adds a little more text, albeit brief information on the subject, but curiously seeds doubts to its existence, "We have found one case in which the pattern's boundary lines diverged, creating an expanding wedge...however, it is unsatisfying analytically in that its third wave was the shortest...and another interpretation was possible...for these reasons, we do not include it as a valid variation". The chart example referred to was the same hourly chart of the Dow Jones (data-series from 1980) as originally published in 1990. Are there so few examples of this phenomenon that this was the only occasion where it could be studied? History is replete with examples of beliefs, no matter what they represent, being avidly protected or guarded so that successive generations never question them anymore, just accept it. It is always easier to go with the consensus. But I have made it a life rule to be open-minded about everything and to prove every assumption to my satisfaction, or discard it. Sometimes you just have to assume the role of Copernicus, research and investigate, then be brave enough to publish even though the establishment will offer scorn or worse. Copernicus eventually discovered the heliocentric model of the planets, that the Sun, not the Earth was at the centre of the celestial spheres. But to do this, he had to first break with age-old assumptions, beliefs - set them aside and look afresh. Of course, his findings were considered heresy to the ruling members of the Church, and to even utter this was blasphemy. No wonder Copernicus himself did not publish his defining work until after death! But he was brave enough to meet the challenge, go headlong against the accepted view and prove his hypothesis not only to himself but to the benefit of everyone. Returning to the expanding-diagonal, the question remains, does it exist, can it have a place within the Elliott Wave Principle? To my own satisfaction, I have proved that it does, and that it is more commonly found unfolding that generally accepted. But you have to prove this to yourself. Yet, if the expanding diagonal is a recurring pattern that is not so rare, why has it been discarded to the point of inexistence? The answer maybe simple - because the old indoctrination prevented us looking for it. Why search for something that your told does not exist? 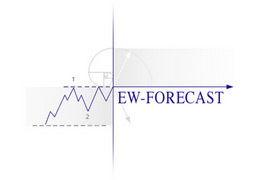 Elliott Wave is a subtle methodology, with only a few hard-and-fast rules, but many guidelines to learn and apply. It certainly has its detractors, but advocates too. I have found that the advocates share a few things in common - they are creative thinkers, have an active imagination and find it quite natural to see things in a hierarchical construct, are comfortable with the idea of fractalisation, self-similarity and cyclicity. When examining the intricacies of counting waves, yes, there is often another way to label price activity from what seems to be an expanding diagonal into something else. Certainly, in Frost & Prechter's single example, one might come to the defence of the diagonal but realistically, yes, it could be re-labelled repositioning wave iv. to the right so that it completes as a running flat pattern, with a more simplified advance to end the v. th / fifth wave, or alternatively, relabeling the termination of minor wave iii. then describing wave iv. as a triangle ending at what is currently wave b. within wave 5 of the expanding diagonal. This is not proof either way, for what we require is other examples that cannot be easily explained other than what they appear to be - expanding diagonal patterns. So lets take a look at some collected and stored from the past. These have been selected from the historical archives of WaveSearch, and although many more are documented, will confine this examination to those that display the certainty of identification. The first example illustrates an ending expanding-diagonal pattern in gold prices during April-May 2004. It is labelled as minuette wave [v] five within a declining five wave impulse pattern beginning from 406.35 and ending at 371.00 - [see fig. #4]. The importance of the entire pattern from 432.60 to 371.00 is that the subwaves of the expanding diagonal cannot be explained or re-labelled any other way - they cannot be 4-5, 4-5, 4-5 sequences that end an expanding 13 wave impulse pattern because there did not exist any visible 1-2,1-2,1-2 sequence at the beginning of the decline - [see fig. #5]. In particular, the reduction of counting waves could be done to fit a more standard 5 wave impulse by incorporating a couple of running flat patterns into the corrective sequences unfolding lower from 406.35, but then this creates another problem because each of the two advances (389.18-399.88 & 377.20-395.88) that act as the end to the running flats are visible overlapping zig zag (or multiple) sequences where they should be a visible five wave sequence (flats subdivide a-b-c, 3-3-5). No, there is no way to "bend" this into something else - this is a true example of an expanding diagonal, a type that occurs at the conclusion of the trend, an ending-expanding diagonal. Almost as an afterthought I realised I have omitted an important point - there are Fibonacci ratios imbedded within expanding diagonal patterns that also recur. There are a few but limited ways to measure the finalisation of the pattern. One that I have found repeatedly is where the sum of waves 1-3 equate to the same measurement as found in waves 2-5. This ratio is applied to this example gold chart to good effect - prices traded within just half of a dollar of the low signalling the expanding diagonal's conclusion at 371.00.
fig. #4: Gold - 60 mins. fig. #5: Gold - 180 mins. The second example is of the S&P 500, part of an update released in October 1999 - [see fig. #6]. The entire decline from 1420.14 to 1233.66 is a great example of a single zig zag pattern, subdividing a-b-c in minute degree. From a fib-price-ratio point of view, this conveys a perfect 100% equality ratio measuring equally waves a & c. Each sequence subdivides into fives waves of smaller, minuette degree, wave a as an expanding five wave impulse, but wave c as an ending-expanding diagonal pattern. There can be no doubt as to its identification - there really is no other way to identify this other than the expanding type diagonal. Key aspects to consider - Frost & Prechter's concern in their example of the Dow Jones was that the third wave was shortest, but in this S&P example, it is clearly larger than the first. Elliott did not illustrate the subdivisions of impulse waves 1-3-5 within the ending-diagonal in The Wave Principle (1938) although reference has been made later that he documented each sequence subdividing into a three wave pattern. This is subject for debate, an issue we shall return to later, although it is appropriate to mention now that it is only apparent in wave (III) three of the diagonal. fig. #6: S&P 500 Index - 60 mins. The third and final example illustrates an ending-expanding diagonal of a more contemporary period, the currency cross Euro Vs. Sterling of November 2009 - [see fig. #7]. It is labelled as a 5th wave within a larger expanding five wave impulse pattern that began much earlier from 0.8400 in June '09. It represents the final advance before trend reversal. It begins from 0.9077 ending at 0.9414 and shows the expanding characteristics of the diagonal where the narrowest point is at the beginning of the pattern, the widest at the end. It is not always important for the price extreme [in this case, high] of a 5th sequence of the pattern to join the tops of the 1st & 3rd waves - often, the 5th high [or low in a downtrend] can often be "isolated", hanging mid-air to the right of the upper boundary line, but in this example, it is perfect. Can this pattern be interpreted any other way? Impossible! The first movements higher containing waves [i] through [iv] cannot be "bent" to fit a triangle for the larger minute wave 4, nor can the advance be labelled as a double/triple zig zag as an "expanding" b. wave of a progressive flat as the ensuing decline was too large, and eventually "overlapped" activity during the preceding advancing trend. One amazing characteristic of the 5th wave within expanding diagonal patterns is the way it covers ground very quickly - it accelerates faster and often in shorter time than that of the 3rd wave - this is true of this example. Note that we have measured the 5th as unfolding by a fib. 123.6% ratio of the total amplitude of the 1st to 3rd wave high - very impressive. Tip: - Print out this ending-expanding diagonal and simply turn the page over horizontally then hold up to the light and you will see its mirror-image - the contracting-diagonal pattern! fig. #7: EUR / STLG - 60 mins. When I re-read R.N.Elliott's The Wave Principle published in 1938 and of course his later treatise Nature's Law of 1948, I often wonder what else he would have discovered had he lived longer and had access to the masses of data that is obtainable today? Perhaps the expanding diagonal would be there amongst all the other patterns, with subdivisions documented for each in his indelible style. One thing for sure, if we can shed new light on the subject, incorporate aspects that remain governed by the true archetypes of the Principles he laid down without contradiction, then we surely have a duty to share them and continue his great work.